Returning from my latest trip to Asia this week, I reflected on another thoroughly enjoyable sojourn to my favourite part of the world. I visited Asia twice last year and have a further trip planned later in 2018. There are so many wonderful facets to my visit that it can be hard to put into words. Three spring to mind; kindness, respect and commitment. When it comes to music and the arts, this part of the world must surely lead the way in the Twenty-first century. A voracious capacity to learn, digest, and comprehend, students are attentive and highly motivated, whether they be teachers or pupils. Suffice to say that it’s a way of thinking which completely resonates with my beliefs and my teaching. During the first three and a half weeks of the trip I worked for the Hong Kong Schools Music Association as an adjudicator (I then gave a series of workshops and master classes for Schott Music). 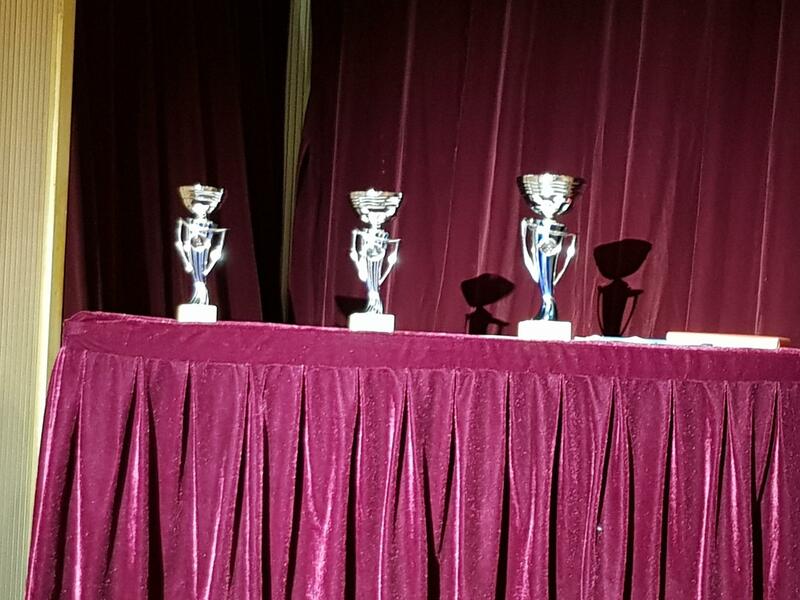 This year marked the 70th Hong Kong Schools Music Festival and therefore many celebrations ensued, not least a bevy of dinners, presentations, gifts, and general merriment. 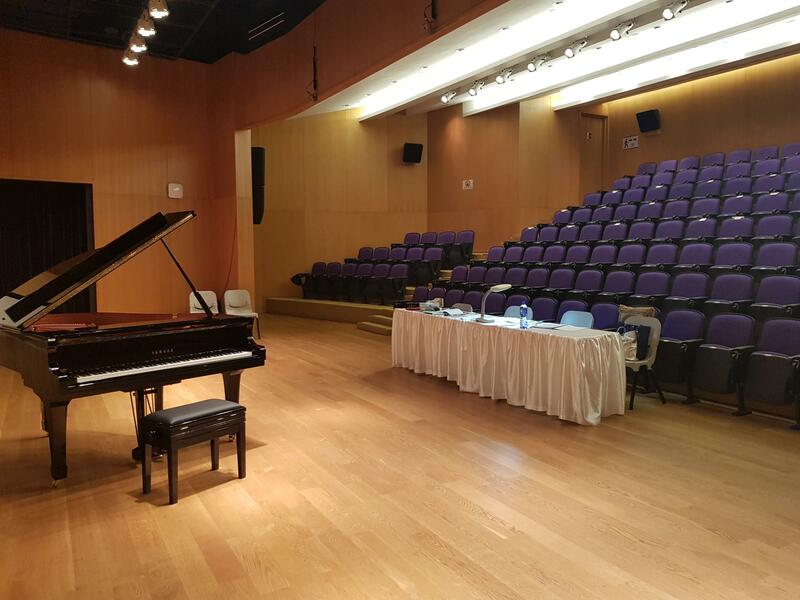 I worked for the Hong Kong Schools Music Association in 2013, doing exactly the same job, so I knew what to expect and was aware of just how gruelling it can be; it’s a baptism of fire for first time adjudicators. For readers wondering about the job of an adjudicator, it is essentially competition judging. I am an adjudicator affiliated to the British and International Federation of Festivals in the UK; an organisation to which adjudicators are connected (after a selection process), and where music festivals (there are over 350 in the UK) can approach adjudicators to ‘judge’ their music festivals. We listen to groups of students through various classes, write our comments on mark forms, offer marks to participants, and finally, select a winner of each class. In the UK, these festivals are fairly understated affairs lasting up to a few days featuring small instrumental classes, both competitive and non-competitive. However, in Hong Kong, this job is on a completely different scale; classes of fifty instrumentalists lasting for three hours are the norm. Adjudicators will listen to selected pieces, usually three or four set works per exam grade; the festival runs in tandem to the UK graded examination system, plus diploma classes, and we might hear the same class (or set work) five or six times over the course of the festival. I heard a particular Grade 4 class ten times; let’s just say I know William Gillock’s Carnival in Rio rather well! The ability to think and write quickly is of essence; therefore as the student starts to play, one must start writing, and finish writing and marking as the student gets up to bow at the end. When adjudicating short grade one or two pieces, there really isn’t time for more than three or four sentences. Students tend to make the same errors during the course of a piece, so the challenge becomes how to write eloquently yet with a different inflection for every performance. A divergent selection of classes were on offer to all adjudicators; most days I adjudicated two three hour classes and we worked six days per week, occasionally there were three sessions per day (nine hours of adjudicating), and I heard a large collection of piano music generally taken from standard repertoire. But there were a few Contemporary choices too, and some glorious Chinese works by previously unknown (to me) composers. I particularly enjoyed the diploma classes; Debussy’s Préludes were on offer here, (for the Debussy celebrations this year; it’s 100 years since the composer’s death in 1918) with a wide-ranging group selected from both books. Participants could choose two contrasting Préludes for their performance. The Grade 8 classes were also fun; I relished the Brahms Intermezzo Op. 117 No. 1 in E flat major. For me, the most memorable class was the Junior Scholarship Final held on a Saturday afternoon at the Tom Lee Academy Hall. Three adjudicators worked together for this final, and we heard five outstanding young pianists (aged around 11 – 13 years). Two set works were followed by a piece of the competitor’s choice with each programme lasting around 15 minutes. Exciting and beautifully committed playing emanated from these talented young players, and it was a treat to hear and judge them (I know my colleagues both felt the same too). The winners, placed first, second and third, were awarded trophies (as pictured above) and prize money. Rules and regulations abound in Hong Kong, and adjudicators and competitors must adhere to strict criteria; there was a whole manual of do’s and don’ts. One, perhaps surprising, rule for all those playing in the piano solo classes, was memorisation. Students had to play their pieces from memory. Some do struggle with this element, but on the whole I found it a remarkable achievement. 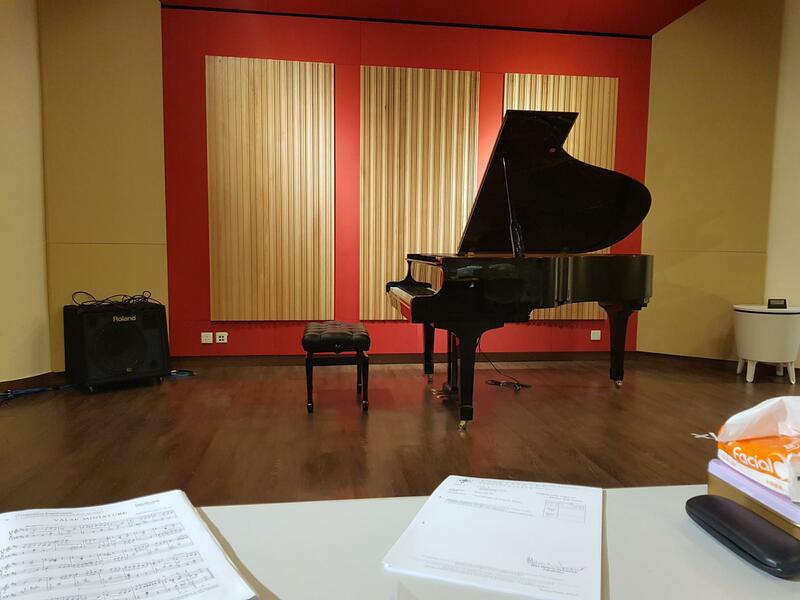 Whether you agree with memorisation or not, the fact remains that it affords students a much deeper understanding of a piece, and offers a taste of how it feels to be a professional i.e. in an exposed situation, alone on a stage without the score. I also adjudicated at several duet classes, which were engaging and, again, Debussy was on the menu, alongside a few other favourites. Several competitors chose to play these classes from memory too. I stayed in a lovely hotel in Wan Chai on Hong Kong Island, and was fortunate to be treated exceptionally well; for the majority of sessions, adjudicators are chauffeured to venues (although going on the MTR, or underground, to a venue was always an adventure), and we worked alongside a whole team of professionals from the Association. A fond memory was judging my only non-piano (and non-competitive) class of the festival in Ho Man Tin on Kowloon; a group of special needs students prepared traditional and world music in small ensembles and choirs. Their obvious love for music and desire to communicate was infectious and moving. I concluded that you haven’t lived unless you’ve heard Frere Jacques sung in Chinese! Some facts and figures: during the 2018 festival, over 131,000 competitors performed. There were fifty-one adjudicators on the Adjudicating Panel (coming from all over the world), working in over fifty venues throughout Hong Kong. I adjudicated a total of 1549 students over 39 classes during the three and a half week period, and the venues were usually small theatres such as those pictured above. And I met some fascinating new friends. I want to say a huge thank you to all my assistants who made each day a pleasure, and to my fellow adjudicators, who have not only inspired me to be better at the job, but have also become friends. Whilst this job is hard work, the rewards are immense; staying in a vibrant city with fellow musicians can be a welcome change to working alone (as many freelancers do) in the UK. I enjoyed the warmer climate, the chance to sample Chinese and Asian cuisine, several concerts at the Hong Kong Performing Academy of Arts (opposite my hotel! ), and the Hong Kong Cultural Centre. I loved taking copious Star Ferry trips across the water to Kowloon, offering simply the best view of the city. Many say that children are forced to play an instrument in the Far East and that may be true (but then I was forced to study maths at school, a subject which I loathed). Maybe these young pupils don’t love practising, playing or performing at all, and they might choose never to play again when they are finally allowed to quit. But, every classical concert I attended was full, (and I went to a variety of professional recitals during the course of the trip) and, contrary to the UK, where classical concerts often suffer sparse audience attendance (and are usually frequented by older people), in Hong Kong the whole family go together, and I witnessed scores of children and young people all enjoying classical music. Surely this is the reason we encourage children to learn about music? So they can enjoy it in all its forms and learn to appreciate live performance. I can’t wait to return to Hong Kong soon.